Many of our books have been recognized with Mom's Choice Awards. To receive this award, the books were reviewed by an esteemed panel of judges including education experts, parents, children, librarians and others. 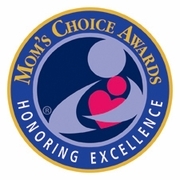 The Mom's Choice Award recognizes authors, inventors and companies that have created quality family-friendly products.